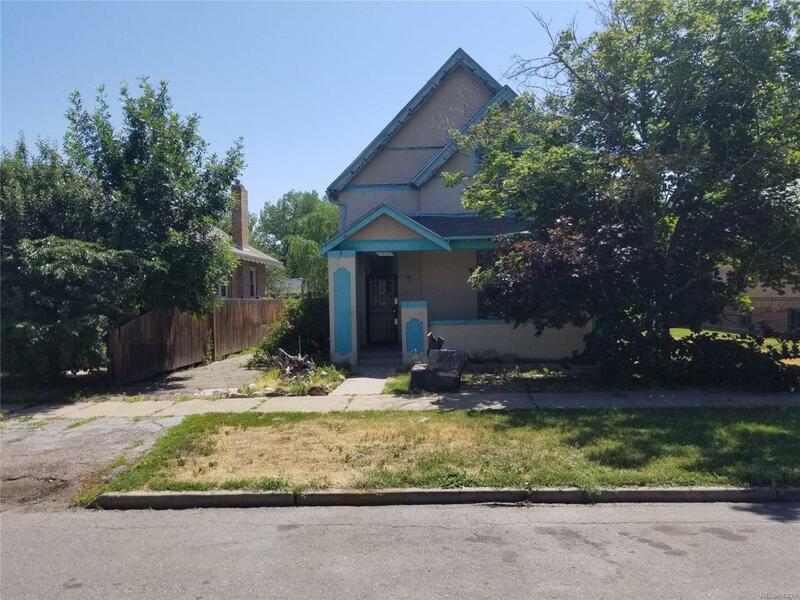 The home is really a scrape off, but can you salvage it? Zoned G-MU-3. Suitable for 4-5 townhomes. 53' wide on front and 54' wide on back, but Buyer to verify. Measurements are from Realist, County records. Just 2 blocks to Sloan's lake, just right around the corner! Lots of new retail opening. Seedstock Brewery 1.5 blocks, and bus service. Walk to Light Rail. Sloan's lake has tennis courts, jogging path, and marina! A fantastic re-developing area.